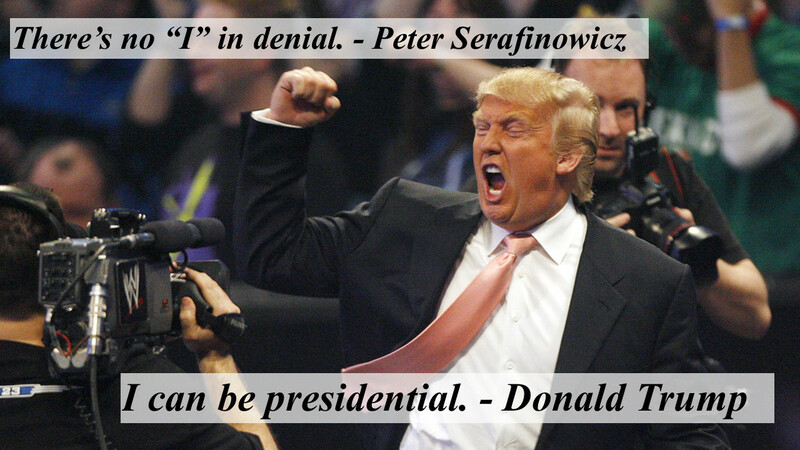 Peter Serafinowicz, British comedian, has dubbed over clips of Trump-speak. The words are all Trump. The saucy voice makes him Sassy Trump. Regulating aerosol hairspray is the same as regulating the mining industry! "I know how hard that wrestling stuff is."